Winter break flew by in a flash and it's hard to believe that it's already over and I'm back to work! I'm lucky, however, that I was able to get in some rest and relaxation and was able to cross some things off of my list of things to do and see around Los Angeles. 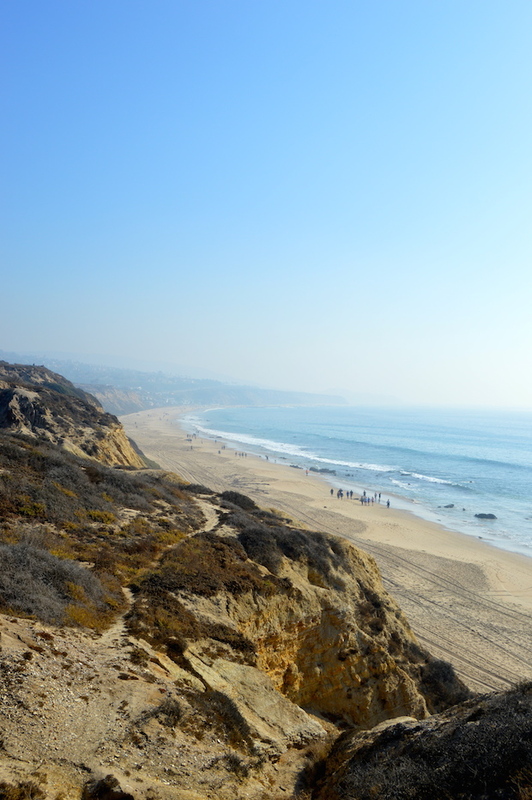 One of the things that I was able to finally cross off was visiting Crystal Cove Beach in Orange County. 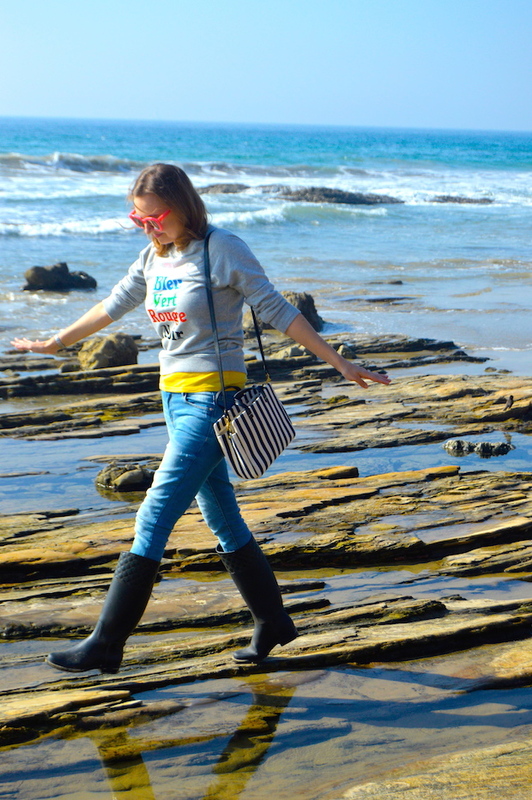 One of the reasons why I wanted to visit Crystal Cove was that it's known for its tidal pools. 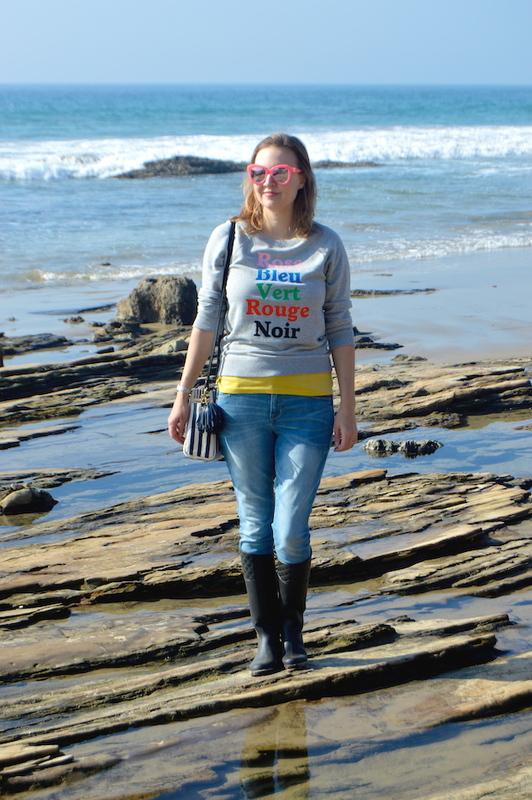 Last year, I had a wonderful time exploring the sea life in the tide pools at Little Corona Beach, which is just a little north from Crystal Cove. 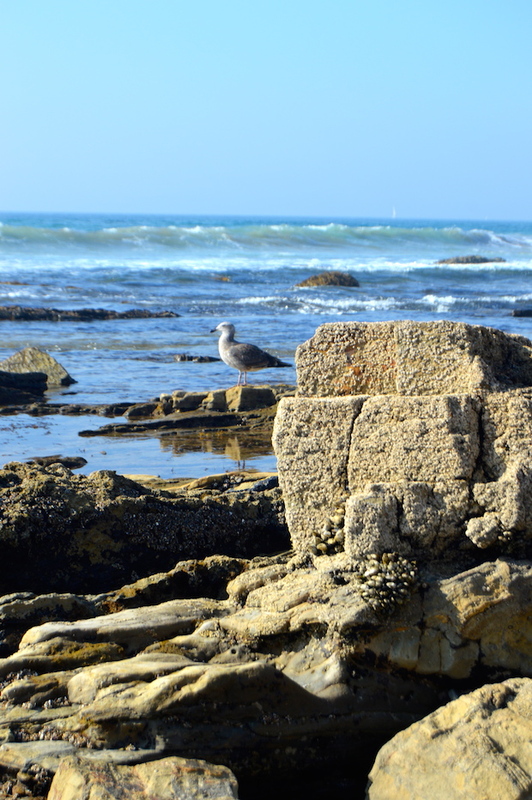 Unfortunately, at Crystal Cove this time, there was very little to be found in terms of sea creatures in the tidal pools! In the picture below, I am squinting to try to find at least something moving in the pools but, alas, there was nothing, not even a lone starfish or sea slug! And we even went during low tide! My husband and I went to Crystal Cove just a few days after Christmas and, as you can see below, it was decked out for the holidays, retro wooden candy canes included! There was also a Christmas tree on the beach, but it was very brown and bone dry (i.e., not too aesthetically pleasing! ), so I decided not to include its picture. If you saw my Instagram Story on this particular day, it was featured there, but it didn't make it to the blog! 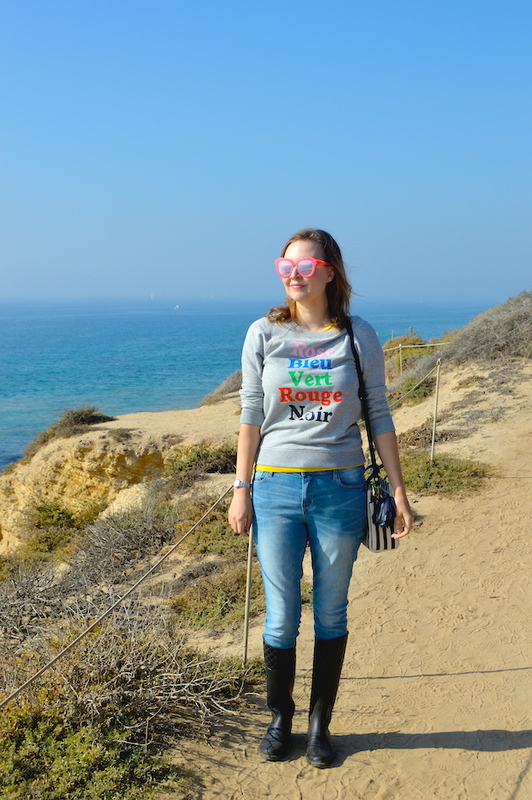 Last, but not least, I decided to wear something comfy and casual to the beach. While I was comfortable, it was actually a little warm for a sweatshirt on this particular day. I know I shouldn't complain about warm weather, given the chilling temps the east coast is currently experiencing right now, but I did wish it was just a touch cooler here for the holidays. Wearing plastic rain boots also added to the feeling of being over-heated on this particular outing! Regardless of the heat and lack of life to be found in the tidal pools, it was still a lot of fun. 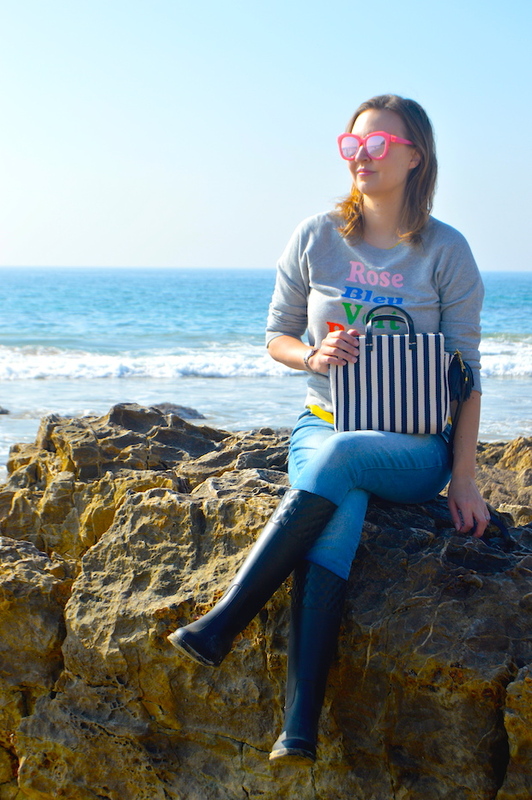 My husband and I also had a nice picnic on the beach, so it was romantic too! This looks beatiful! I so want to go here! Looks like you had fun. Thanks for sharing. That is so pretty! Looks like a fun day and not too cold either!